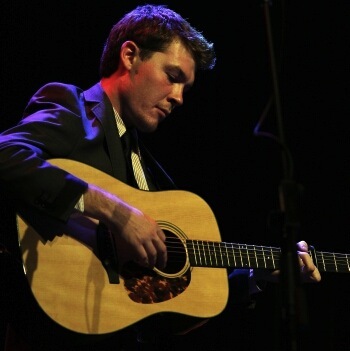 Daniel Watkins Australian Youth Bluegrass Scholarship winner. 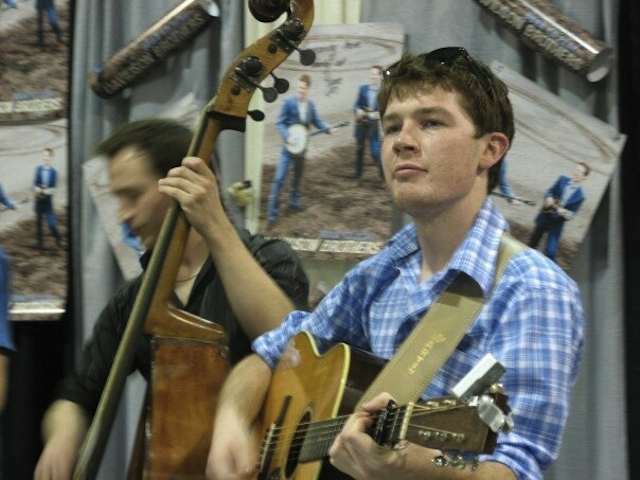 23-year-old, Newcastle born Daniel Watkins has been announced as the 2013 recipient of the Australian Youth Bluegrass Scholarship. 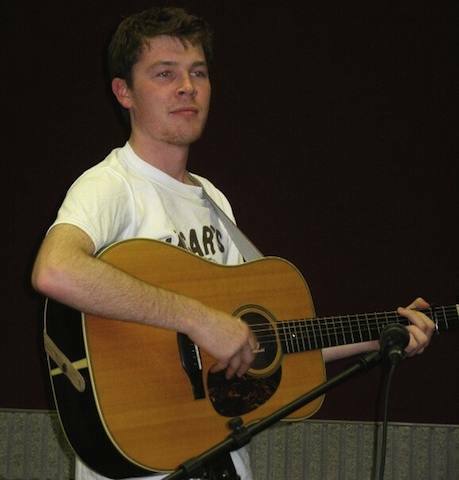 Daniel is a fine instrumentalist and vocalist whose main instruments are guitar and mandolin. 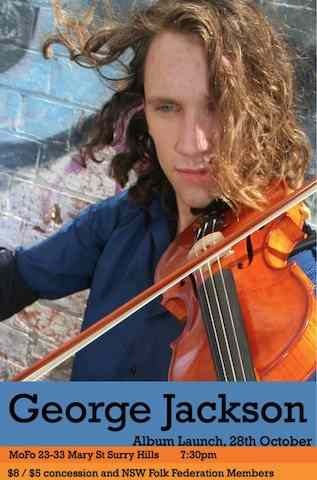 He cites Tony Rice, Bryan Sutton and his Dad as his biggest musical influences. 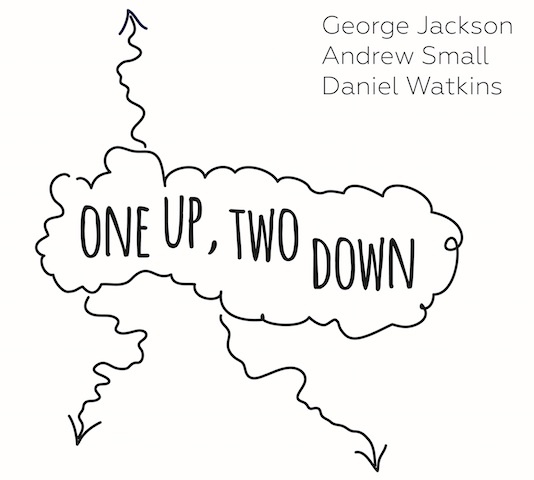 Daniel currently plays in the Melbourne-based group “Buffalo Nickel” with George Jackson and Paddy Montgomery. He is using the scholarship cash prize to travel to the USA later in the year to attend festivals and immerse himself in the Bluegrass scene. Already showing excellence and dedication in the field of Bluegrass, Daniel is a very deserving recipient of the 2013 scholarship. The Davidson Brothers wish Daniel all the best in the USA. 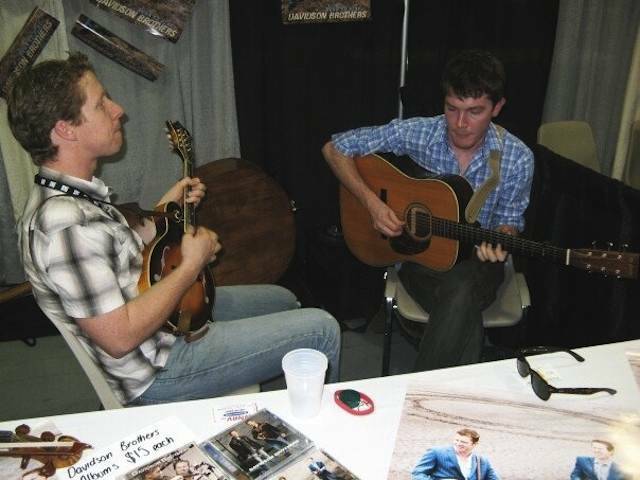 The Davidson Brothers established the Australian Youth Bluegrass Scholarship to encourage and nurture young singers and musicians who demonstrate exceptional talent and dedication in the field of Bluegrass Music. There are many young people in Australia who possess rare musical gifts, where a small nudge in the right direction may help pave the way toward their musical dreams. The winner of the 2013 Australian Youth Bluegrass Scholarship receives a cash prize of $1,500 which they may wish to put toward a regional tour, a recording project, a new instrument, enrolment fees at the CMAA Academy of Country Music, or a flight to Raleigh, North Carolina so they can attend the IBMA World of Bluegrass convention. The recipient will also receive a recording package generously donated by the folks at Pacific International Music – one professionally recorded song of the winner’s choice, recorded and mixed to international broadcast standard, featuring the winner along with Australian and Nashville session players. The winner will also be presented with a trophy for themselves to keep and a perpetual trophy, which will be passed on to the recipient of the following year’s scholarship. Jan Dale has let us know that the Big Bug Trio will be playing live to air on her radio show on Tuesday 24th July. 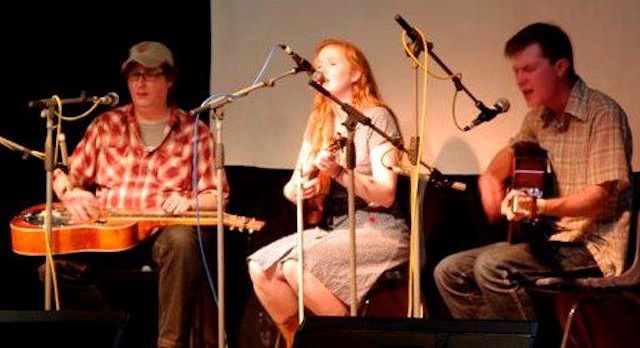 Big Bug Trio formed mid-2011, initially at the suggestion of Bridget Sommers of Dorrigo Bluegrass Festival, being an opportunity for some perpetual ‘sidekicks’ to take centre stage for a change. Pete Fidler is well-known in the Melbourne bluegrass scene, being a sought-after Dobro player with many acts including Bluestone Junction and Nick Charles. Kat Mear on fiddle has been gracing the stage with acts like Gerry Hale’s Uncle Bill, Quarry Mountain Dead Rats and many more. 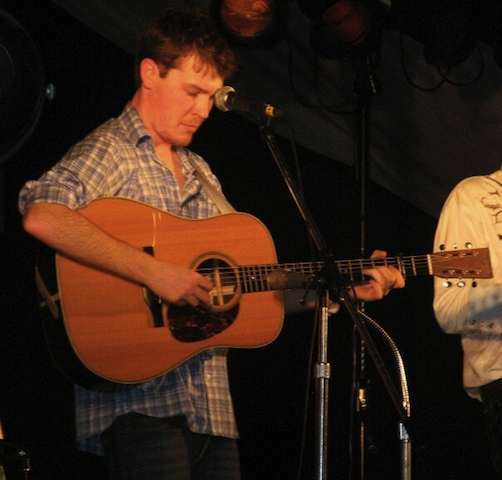 Dan Watkins on guitar has toured extensively with the Davidson Brothers, and with Blue Mountains singer Karen Lynne. The Big Bugs like to dabble in a mix of styles but spend most of their time in the middle ground between old-time and bluegrass. 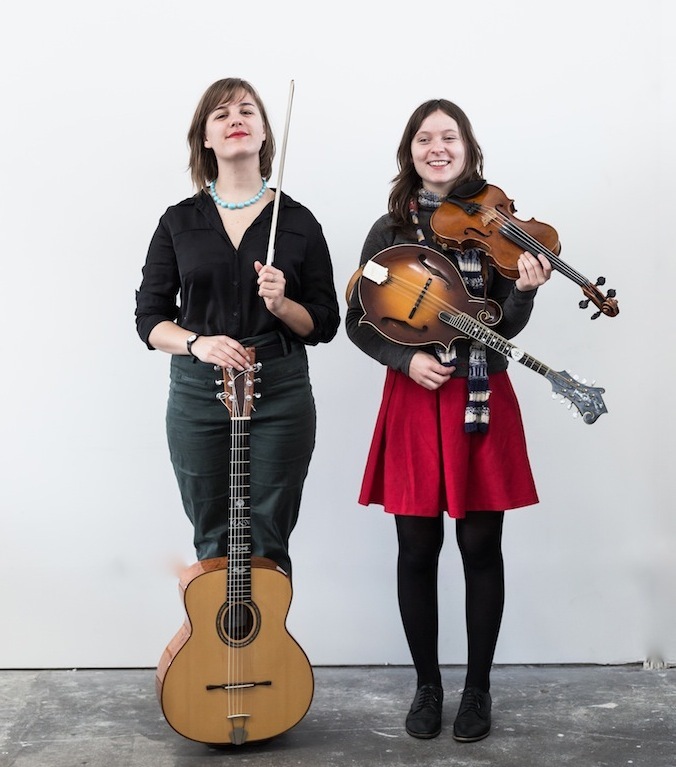 Expect southern-flavoured original songs, traditional tunes, sweet harmonies and precocious picking! They recently released their debut CD.